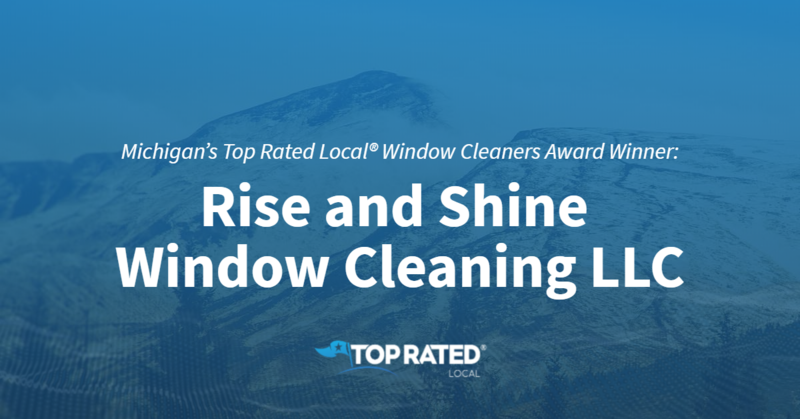 Top Rated Local® is pleased to announce that Rise and Shine Window Cleaning LLC is a 2019 award winner for window cleaners in Michigan! When it comes to window cleaning in Allen Park, there’s no better company to work with than Rise and Shine Window Cleaning LLC. Rise and Shine Window Cleaning LLC has received dozens of reviews on three verified sites with an average rating of 4.88 stars, earning them a phenomenal Rating Score™ of 95.82 and a 2019 Top Rated Local award for ranking among the top 10 window cleaners in all of Michigan! “We are so happy with the results after Dan cleaned our gutters and windows and power washed our siding and fence! What a difference! Dan is a professional and insured but also a family man who addressed all our concerns with what we needed and did an awesome job, including trimming our Rose of Sharon overgrown bushes! We will certainly be a returning customer. Thanks, Dan! !” – Maureen K.
We took a few minutes to talk with Dan Kaiser, the Sole Proprietor of Rise and Shine Window Cleaning, to learn a little bit about his award-winning business and its impressive online reputation. 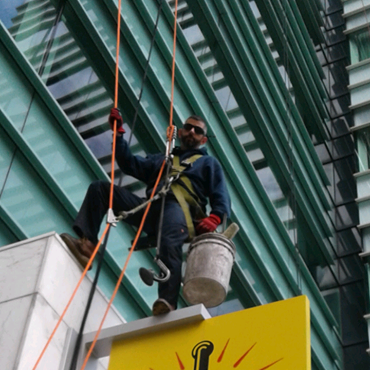 The first thing we wanted to know was what sets Rise and Shine apart from other window cleaning companies in Michigan. Dan points to their communication, customer service and hassle-free estimates, and he told us that he’s on-site for every job. Dan also told us that he has 19 years of experience in the industry, and that he’s licensed and insured. Another thing that sets Rise and Shine Window Cleaning apart is the vast array of services they offer, which include gutter cleaning and power washing. Congratulations to the team at Rise and Shine Window Cleaning LLC for being a 2019 Top Rated Local award winner, and thank you so much, Dan, for taking the time to speak with us! For all of your window cleaning needs in Allen Park, we highly recommend working with Dan and his team at Rise and Shine Window Cleaning LLC. Visit their website today!